Baby Shower Gift For Dad! Cool Dad Baby Shower Theme Ideas Too! Baby Shower Gift For Dad: Poor old dad-to-be often gets left out during the excitement of having a baby. Show you care with a nice baby shower gift for dad! 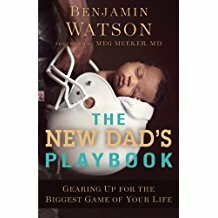 A new baby is just as exciting and important to the dad-to-be as it is the new mom! The fun part is, you can get a silly yet practical gift such as a basket full of fun "survival" stuff - or you can get a sentimental, keepsake gift like a picture frame, mug, etc. Many times the father gets overlooked (sad face.) A bond between a dad and his child is special and unique. Words can't really explain it, it really is something sweet. You can read all about them and see customer reviews, here. 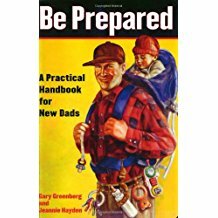 Purchase a tool belt from a hardware store and stuff it full of "goodies" such as diaper rash cream, instant coffee packs, diapers, wipes, baby gas relief drops, nose aspirator, and other new daddy staples, You can also click the picture to grab a pre-made daddy tool belt. Dad-to-be will also probably need some new tools! Since a new baby requires a crib, new furniture, swing, etc...he will need some fancy tools to assemble them all! They have some great "man approved" baby diaper bags and baby pack packs. Buy a white apron and write "Daddy's Doodie Apron" on it with craft markers. Put all of the necessary diaper changing tools in the apron pockets. Diapers, wipes, diaper rash cream, powder, etc. Searching for a new twist on the traditional baby shower theme? Jazz it up by throwing a baby shower for the Father-to-be! Between friends, family, neighbors and co-workers, the average new mom usually has 1-2 baby showers thrown for her. So why not make one of them a "Daddy-To-Be-Shower"? This type of baby shower is usually hosted by the new dad's best friend or best friend's wife. It can be guys only, or you can make it a couples baby shower! Have fun with it! It's his last hoorah before becoming a father! 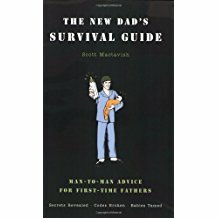 It gives the dad-to-be time to spend with his buddies before his life becomes too busy. Since the mom-to-be will probably be given a shower as well, you can make this one a "gag gift" shower where guests bring giant diapers, over-sized pacifiers (found at pet stores - used as dog toys), diaper rash ointment, gas relief drops, baby wipes, and a "Daddie Doodie Apron" or a "Survival Tool Belt." For fun, you can fill baby bottles with beer for his friends to enjoy. We have a great game to go with this idea! Visit our baby shower games page for some crazy game ideas! Turn on a baseball, football, or basketball game, serve some pretzels and popcorn, have a BBQ and relax! Check out our popular baby shower appetizer recipes! 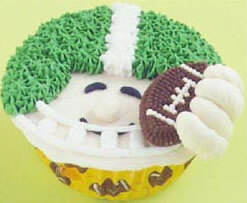 Make some cool football cupcakes, a cake, or whip up a batch of baby shower cookies! Search our cake gallery for hundreds of cool cakes! Write on the baby shower invitations that it is a "Daddy Do" shower where guests bring something that the new dad can do with his child. Some example are books, toys, games, puzzles, footballs, baby golf clubs, etc.